The issue I was worried when first saw cast list materialised in full. Rising star conductor Dan Ettinger was at the pit, and feeling was even worse than year ago in Munich where his interpretation of Mozart was tolerable due to extraordinary cast including Luca Pisaroni and Erwin Schrott. This time I was bored by performance, mostly due to orchestra / conducting and some directing issues. Ettinger also played piano while leading orchestra which did not help his kapelmeisterish approach. 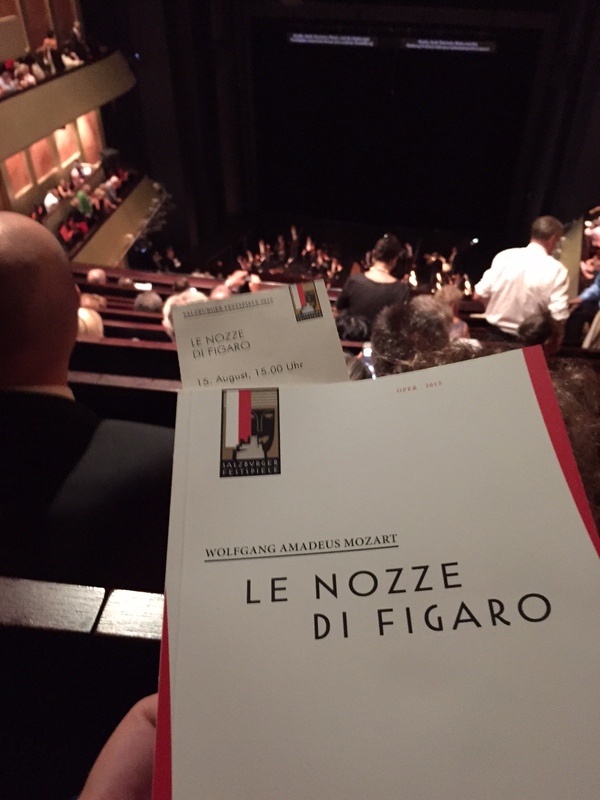 Loosing spark and joy in Mozart’s music is an art per se, and we were in attendance to witness. Wiener Philarmoniker adjusts to conductor flawlessly, and can be superb or underperforming day in and out. Another excuse I can find to the uninspiring interpretation on musicians part (which is very unlikely for those extraordinary professionals) is so packed schedule of performances with various leads and repertoire that they are not able to switch over instantly. Luca Pisaroni delivered great performance as Count, Adam Placzetka was sound Figaro, both excelled dramatically and vocally. Very pleased with Suzanna – Martina Jankova, stable, bright performance with good acting skills. 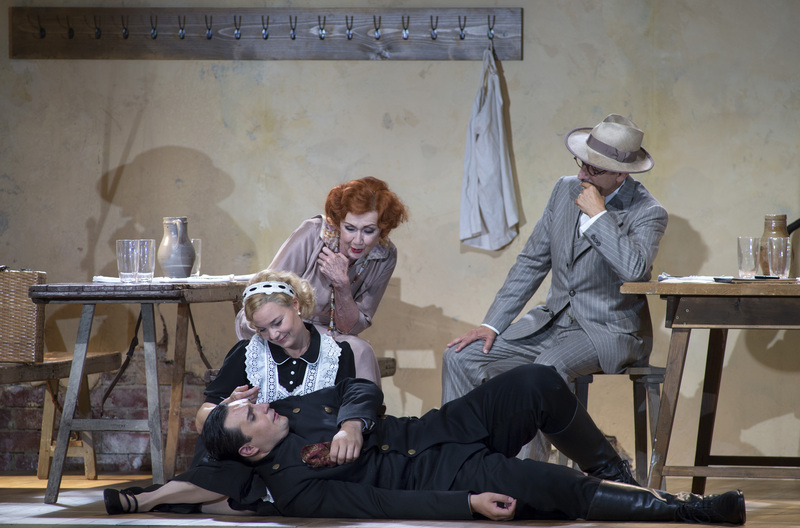 Margarita Gritskova surprisingly good as Cherubino, which is tough role to handle for a mezzo, with high requirements on acting part, and she did it great making us believe we have teenage boy on the set. Luca Pisaroni complemented his acting performance with invovement of his fantastic #operadog Tristan, who got well earned treat. 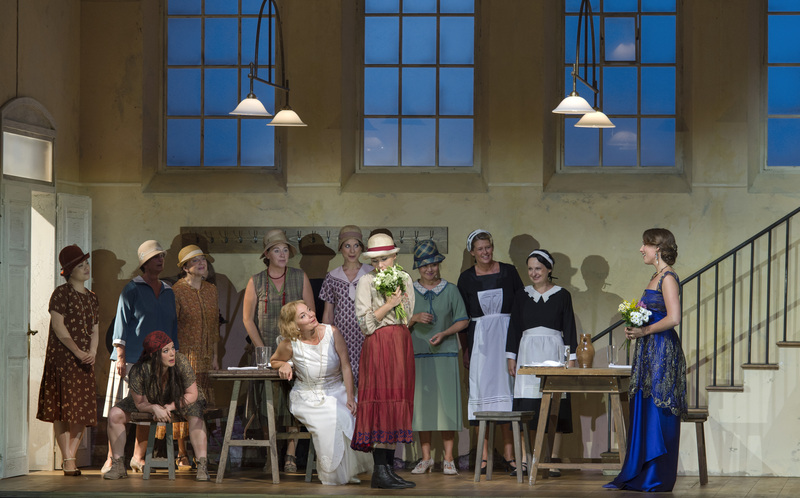 Rosina – Anett Fritsch, La Contessa Almaviva, could have been more convincing from director’s perspective, she has been depicted as ailing, weak and unhappy wife of ever-cheating husband, her helplessness in abundance. Vocally Anett Fritsch performed well, taking into account what obviosly director wanted her to do by illustrating endless suffering and reconciliation. Similar directing issue I have found in interpretation of Barbarina, exaggeratedly savage and uncultured (common peopel grown up in wild). On contrary Marcellina – Ann Murray, surprised with humourous acting, creating even if the last of her hiccups in Act 4 was overdone. 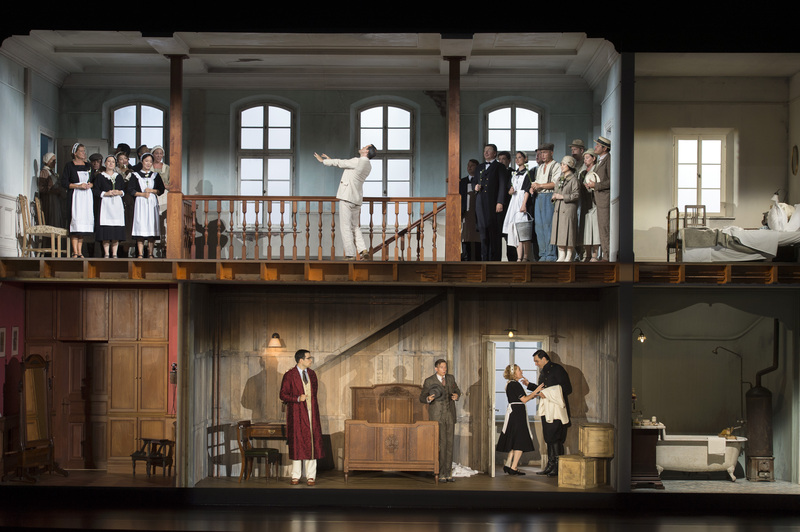 The production itself is interesting, the concept of full house on 2 levels and interchanging locations is relevant and attractive, providing opportunity to go for parallel activities thus fully utilising potential opportunities of the smart set. The set construction added cinematographic flavour to the production, and probably many details can be noticed on second viewing. 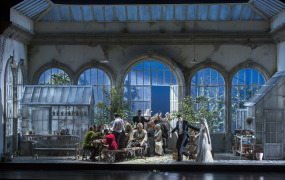 Regardless of very high viewpoint from the top of the house – sitting on the last row of Rang 2 of Haus für Mozart, it was possible to see all activities of the cast. I believe that production can become better on musical interpretation side, and revivals and co-productions with other opera houses could give it the second chance.